The New Hampshire Supreme Court has upheld a lower court's ruling that an out-of-state hiker was responsible for his 2012 rescue. Then 59-year-old Edward Bacon of Michigan will now have to pay the state more than $9,100. The court affirmed an earlier ruling that Bacon was negligent when he went on a five-day solo hike in the White Mountains with an artificial hip that he dislocated multiple times before. The opinion states that Bacon had undergone multiple hip surgeries, had chose to jump over a rock ledge despite his past hip dislocations and had chosen to hike in high winds and heavy rains that had been forecasted for days. The overall rescue required 15 Fish and Game officers and 35 volunteer rescuers, taking more than 14 hours to complete. But Bacon argues that the facts were skewed and that his doctor had cleared him for hiking. Bacon is one of 63 hikers fronted with rescue bills since the state’s negligent hiker law was put on the books seven years ago. “The ruling they have and the way they worded just kind of opens the door giving Fish and Game the power to make the decision whenever they want. So the decision to whether you are negligent or not is pretty much up to Fish and Game,” he said Thursday during a phone interview. Captain John Wimsatt of Fish and Game applauds the ruling, saying that due to the agency's financial shortfalls passing the buck on to hikers deemed reckless helps them to cut costs. Wimsatt says the ruling affirms the negligent law, which looks into whether "one acted as a reasonably prudent hiker would have acted in the same circumstances," which include factors such as preparation for the conditions, physical capabilities, proper equipment and preparation for the specific hike. Bacon, who is hoping to retire as an engineer shortly, says he will most likely have to pay for this by tapping into his 401k, but is hoping the state will offer him an installment plan. When asked whether he would ever hike in New Hampshire again, Bacon says he is unsure, but says if he does, he is going to buy a hiker safety card to prevent any future expenses. The New Hampshire Supreme Court is set to issue its ruling on whether an out-of-state hiker should have to pay for his rescue back in 2012. Earlier this year, a Concord district court judge agreed with Fish and Game that Edward Bacon of Michigan acted negligently after he set out on a five-day solo hike in the White Mountains with an artificial hip that he had previously dislocated multiple times. The current bill rings in at more than $9,100. If the court rules against Bacon, he says he plans to never hike in New Hampshire again. A hiker is recovering after he slid off a New Hampshire mountain trail and down a ledge into some trees, unable to move due to the steep grade and ice. Fish and Game Department officers say 21-year-old John Ng of Wakefield, Massachusetts, was able to call 911 Thursday afternoon from Mount Chocorua in Tamworth, in the White Mountain National Forest. Rescuers found him about five hours later, suffering from symptoms of hypothermia and frostbite. They replaced his frozen shoes and socks with dry ones and put several layers of clothing on him. On Wednesday Fish and Game officials aided a woman at Franconia Notch when she experienced chest pains. The same day hikers helped a man who fell 20 feet down a Mount Washington trail. 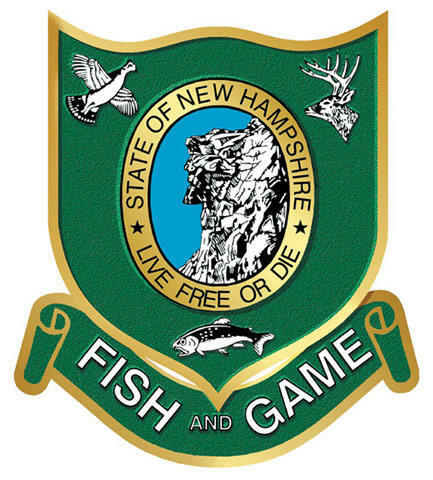 The New Hampshire Department of Fish and Game’s Lieutenant Robert Bryant said hiker mishaps are a common occurrence in the summer. This is the time of year for vacation and hiking and it’s certainly not uncommon for us to head out to help hikers.